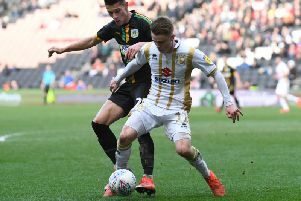 here's plenty happening in League One and Two today as the transfer window nears - with deals done, rumours aplenty and even a shock resignation thrown into the mix. With the window set to slam shut in two days, there are deals close and links aplenty floating around the leagues today. Make sure you don't miss any of the transfer action by following our live blog - and make sure you refresh the page for the latest!